In honor of the lovely weather, I'm taking a walk on the brighter side of life. 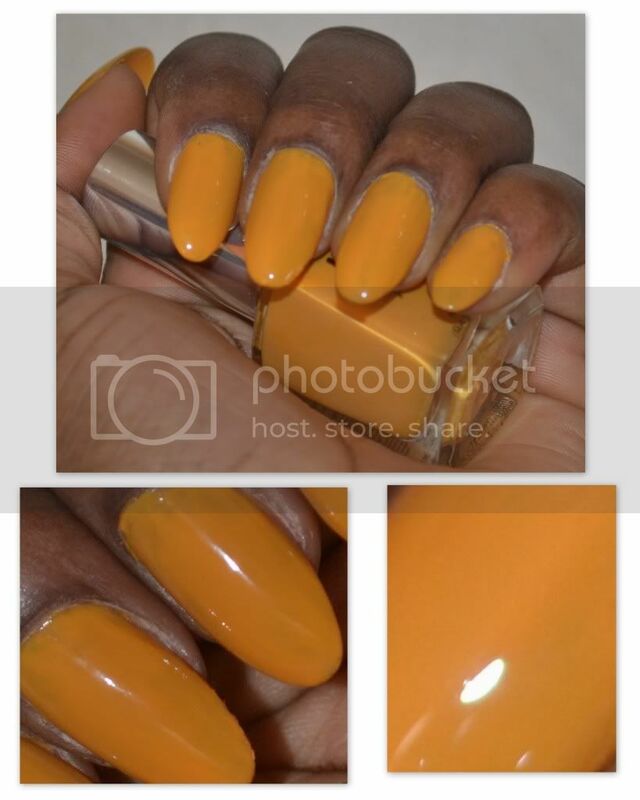 "My Sunshine" is a yellow orange shade from the NYX. The nail polish is sheer but spread evenly. I had to apply 3 coats to get the cover you see in my pictures and even then I can still see patches when I hold my nails up to light. Every thing else is pretty basic; normal brush, 12ml of product. I got this for 5 pounds at the at the IMATS London. This product is best suited for you if you prefer sheer coverage. I've been really into bright colored nails lately. Never seen this color before! I like!